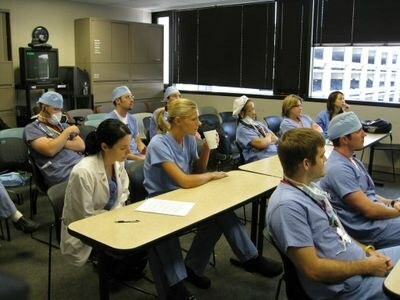 Journal Club is held once each month with two residents presenting 1-2 articles each. Journal Club gives residents the opportunity to maintain up to date knowledge of anesthesia topics as well as evidence based medicine. The residents become more proficient at interpreting publications while adding to their knowledge base. One attending is assigned to each month to mentor the residents and assist them in interpreting data and statistics.